There is one factor which singles out Infinity Publishing from many other author solutions services. From the very beginning, in 1997, Infinity Publishing did all their POD printing in-house and offered authors a non-exclusive contract. 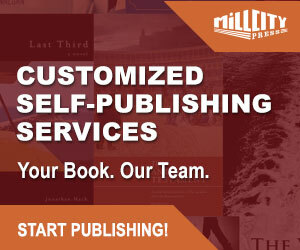 They describe what they do as ‘originated book publishing’, but the self-publishing industry and the world at large doesn’t really need another way to describe an author solutions service. I do like Infinity Publishing’s basic premise that the author pays a one-off fee to have their book file set up with them for print, distribution and sale. Whatever service the author chooses to avail of and add on is at their own discretion. The last line of the above quote from Infinity Publishing is the most important for me and should be for any author considering using an author solutions service—be it Infinity or any other service. Infinity can provide the printed product, accompanying marketing materials; perhaps even help with an author’s own promotion and networking, but ultimately, Infinity are an aid to self-publishing authors, and not a replacement to all the facets of commercial publishing. Infinity say they keep a replenished ‘micro’ inventory of books printed and can ship no later than 48 hours to customers and all of their books are ‘guaranteed returnable from bookstores’. Many POD author services do not include a returns option of physical books from bookstores, and the few who do, charge a fee in the range of $400 to $800. Infinity pay royalties on a monthly basis (again, highly unusual for other services) on the selling price, 30% of retail price sold directly to customers through their own bookstore, 15% on sales to wholesale and on line sales, and 10% on purchases by the author at a 40% discount. 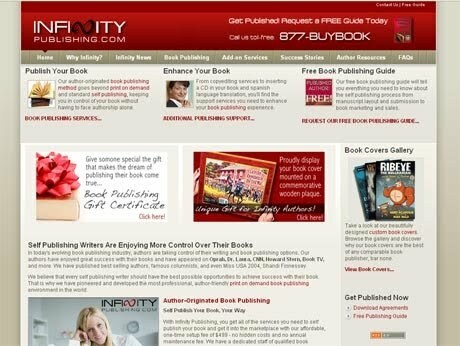 The retail price of Infinity books are competitive—I would expect nothing less from an author solutions service who do their own printing, however, when you look at the discounts and math, on an average 200+ page paperback priced at $12 to $14, authors are still being charged $6 to $7 per book they buy for their own needs and distribution. That is pretty steep if you are planning to be a self-publishing millionaire! Infinity Publishing offers a cd insertion option (useful for children’s illustrated books and business books) as well as an audio book option and editing services. 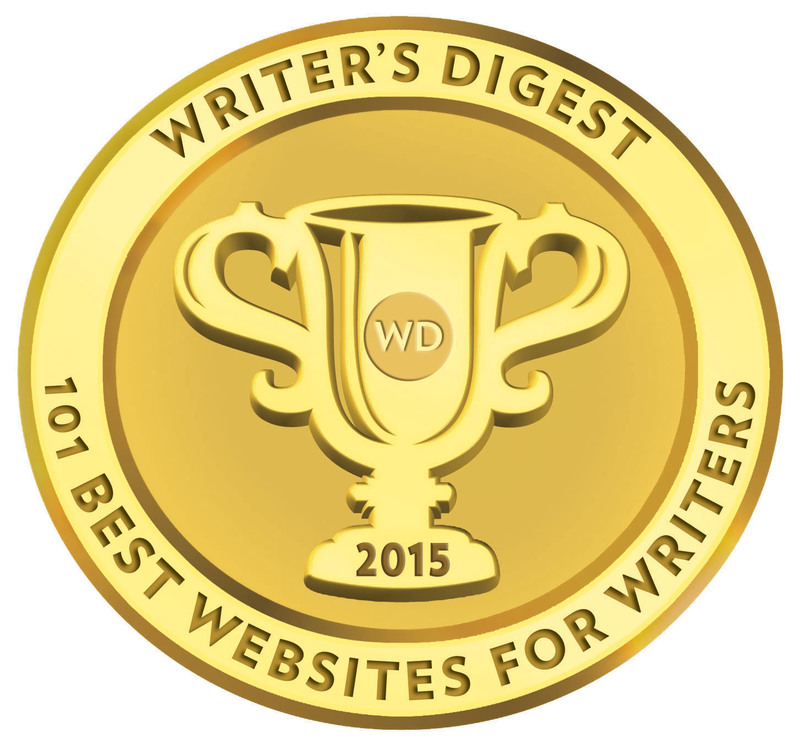 Infinity Publishing’s website is very much the site of an author solutions service and there is no real advertising of books themselves. In fact, it is real struggle to get to the website which actually sells Infinity books direct. I don’t like that one bit and it is a serious mark against Infinity Publishing. While Infinity Publishing provide plenty of contact details on their site from email and phone numbers, the site itself is at times difficult to navigate and get straight to the information you really want. I don’t like that either. 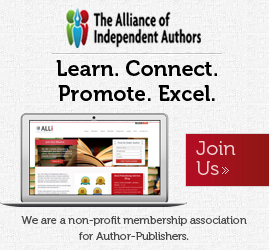 All in all, Infinity Publishing is a sound and innovative company approaching author solutions in a creative and thoughtful way. In some ways, Infinity are ahead of the opposition, and yet, in others, they lag behind with on line distribution and listing, royalty complexity, and difficult site presentation. I chose Infinity because of lots of research they appeared to give more ‘bang for the buck’. They provide 25 review copies (ARC’s) that are a very useful tool in beginning self-promotion, plus mailers and labels. As part of their after-service they are also mailing a copy to any reviewer when I provide them the information. They provide marketing tools that I have utilized also. I appreciate this article a lot! I’m only seventeen years old, and I have been trying to decide on a self publishing company for a while! Before I read some of your articles, I was debating between infinity and dog ear. A third opinion was just what I needed. Thank you for your insight and opinions! I published with Infinity in 2008. Their services was satisfactory. I think they publish what you send them. Then in September of 2014 I was supposed to receive a royalty check for $40.27. They sent it to the wrong address. I started calling. and spoke with Sarah Matz at least 5 times. Once she even told me that the check was in the mail. I never received it. I have called their President Arthur Gutch 3 times, left a message and he has never called me back. I have called their office at least 20 times and they always make me leave a message but no one returns a call. Even the receptionist is not “allowed” to help me. I don’t understand it. They won’t talk to me, send me my money, tell me what the problem is or even deal with me…all for about $41. But they did send a 1099 Form to the IRS telling them that I had received the money. I had to pay taxes on it. I have just finished a new book but their in no way in the world would I ever deal with Infinity Publishers. Does anyone know where I can find a blank 1099 Form to fill out? CROOKS!!! I Purchased a book from Infinity Publishing on Jan 13, 2016 and today is Feb 7, and I still have yet to receive it! I have called the toll free number repeatedly only to be sent to their voicemail each and every time! Don’t even think about calling their local number because it’s disconnected! I have left call back numbers and emails only to get NO response back. I WANT MY MONEY BACK!!! this company is a SCAM!!! !